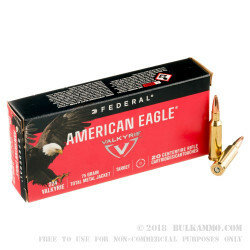 Federal's 224 Valkyrie ammo produced under the American Eagle label provides cost effective long-range training ammo. 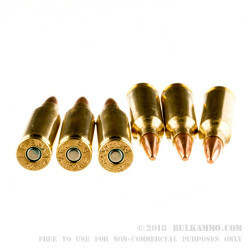 Complete with reloadable brass cases and a 75 grain total metal jacket projectile this ammo is well suited for long range use. 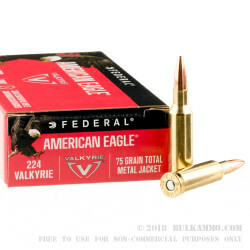 Launched in late 2017 the 224 Valkyrie is a cost effective solution for long range accuracy out of your AR platform. 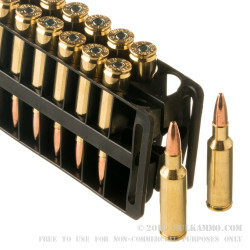 This ammo is made in Anoka, MN by Federal which has been a leading maker of quality ammunition since 1922.